I am Marga. I used to be a musician. And I have excellent hearing, with hyperacusis*. When you suddenly turn out to have hyperacusis, your life is turned upside down! Hyperacusis literally means: “I hear too much”. Well, I did too. Everything hurt my ears. Suddenly ! Big scare. What’s done now? What is it ? When is it going away? What can I do? And what about my work? As a small child I have often had middle ear infection when I had a cold. I grew over it, it seemed. However, as an adult I also had it a few times. As a premium, free of charge in the event of a severe cold or the flu. A few times I also got tinnitus. Fortunately, it never lasted long. I wasn’t concerned about it. The last time it was different. After a double middle ear infection came the tinnitus and it never left again. And when the moisture was removed from behind the eardrum, I turned out to have hyperacusis. Soon, all of a sudden, it seemed. All the sounds came in far too loudly, loudly and distorted. That didn’t go away any more. 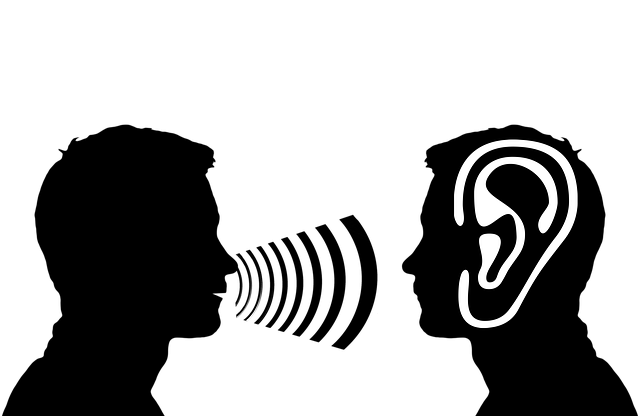 This is my story; my experiences as a good hearing person with tinnitus and hyperacusis. These are two conditions that often occur together, as with me. Hyperacusis has by far the greatest impact on me, which is why I will talk about it in particular. Hyperacusis misinterprets sound information in the brain, as is the case with tinnitus. Unlike for others, completely normal sounds, are experienced as annoying. Soft sounds are perceived far too strongly. Sometimes they even ache their heads. A person with healthy hearing has a volume threshold. With a lower and an upper limit. Sound below a certain limit is no longer perceived; it is too soft. And noise that is louder than the upper limit is experienced as annoying and/or painful. At 130 dB the pain threshold is, for example, the noise of a jet fighter. In people with hyperacusis, the upper limit, and sometimes the pain limit, have been severely lowered. For example, a healthy hearing person can tolerate 40 dB of noise in a classroom. While a person with hyperacusis at the same noise level could have a painful reaction. Hyperacusis, or hypersensitivity to sound, occurs in many forms. Some people are very good in their way with it and have little trouble. While others experience the hypersensitivity as very annoying. Some can function reasonably with it in work and private life, others feel a strong need to isolate themselves. Because all the ordinary sounds make her or his life hugely unpleasant. Some are particularly sensitive to lower or mid frequencies, while others are sensitive to high frequencies. One experiences the hum of city noise, the noise of a refrigerator or heating as quite annoying. The other suffers from rattling keys, cutlery on crockery and bird whistle. In some cases the load is relatively constant, in others the nature of the load can vary greatly. And all the variants in between occur. Some people’s ears are damaged, but others have normal hearing. As has already been said, the problem lies not in the ear, but in the way in which the sound in the brain is interpreted. People with hearing loss may recognize it. Some sounds are easily too loud. And sometimes even painful. Then quickly the hearing aids out! I had never heard of it. I knew Tinnitus well. Hyperacusis not. But I had it. Just like that, all of a sudden. For me, the nuisance is not always the same. When you are tired, you experience the burden much heavier. And stress does not promote your sense of well-being either. Stress gives extra fatigue and the circle is round. Life goes on, by itself. And I’ll go on too, with some adjustments here and there. I don’t work anymore, I can’t, unfortunately. But my days are well filled. I do everything I can. At times when it can be done. And if I can’t? Then I cherish the sofa. I am very happy with it!